With its vast interior, much of it largely untouched, an ideal way to explore the desolate and unique country of Australia is on a 4WD outback adventure. Just make sure you’re well prepared, as with such large distances between fuel stops and places to eat and sleep, it pays to make sure your itinerary is well planned out in advance. These days, there are numerous tour operators that can offer packages to make sure travellers remain safe at all times. 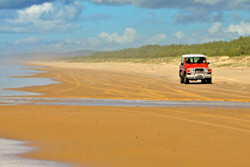 These include tag-along 4WD tours in which experienced guides lead a convoy of vehicles on a planned route. Many of these lead to the isolated heart of the country, home to very few people and a strong Aboriginal identity. The Simpson Desert in the south of the country, with its large, red sand dunes and low salt plains, lets visitors see the best of the outback on a 4WD Australian adventure. By night, this spectacular area is deathly quiet, with the only light provided by the stars and the moon. Other sights include long-abandoned homesteads and rail sidings, not to mention a host of unusual species of animals and plants. The area around Kimberly, with its isolated gorges and waterfalls, ant hills and native bird life, is another great venue for 4WD outback adventures in Australia. Tours through this region and Canning Stock, farther west, often go through the heart of the country ― thousands of miles from the sea and anything approaching the scale of a city. 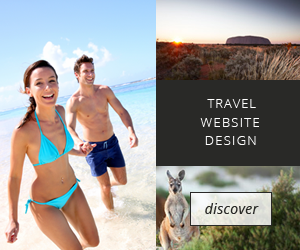 Lord’s Kakadu and Arnhemland Safaris operate day tours and charters through Kakadu National Park and Arnhem Land. All tour groups are small, as..